Fascinating Ulysses. The comparisons with Salazar's Portugal is very interesting. A Fascism of convenience rather than driven purely by ideology. @Barry Giddens - 'A Fascism of convenience rather than driven purely by ideology' - a finely made point and well described. I think this speaks of the time and place - an age of ism's. To our modern ideas it lacked 'grey areas,' in popular thought - actually, not popular thought but mainstream constructs. Governmental, state sponsored propaganda - backed up by bayonets - keep your heads down, you'll have a quieter life. @udrako - ' the "Integralists" (Brazilian fascists) were largely nationalists, however pro-allies or pro-neutral and anti-racists,' - anti-racist fascists, an object lesson in nuance. How could you be racist in Brazil? - perhaps excepting the indigenous population - from the off a country based on an astonishingly diverse ethnic base? Mind you it did not stop - historically and indeed currently - mainstream American - and British cultural trends - making the same mistake. I think as long as we address these issues in a historical context we won't be breaking the forum rules. cheers - I. For example, the Brazilian "fascist" constitution of 1937 was known as "Polish." Irony - is indeed redundant. I. Here the cover of the constitution of 1937 of the United States of Brazil. From 1967, it became the Federative Republic of Brazil. Massive gaps in my knowledge here Ulysses, and I'm not really sure why. I have a basic understanding of Argentinian, Chilean, and Uruguayan political history, but Brazil has passed me by. It's fortunate that we have you to educate us. Beautifully put Iain. And that was a fascinating period. The battle of ideologies. And indeed, the battle within ideologies. One thinks of Orwell's 'Homage to Catalonia'. Some great art came out of that ferment of ideas. I was always drawn to the German Expressionists (nudge for one of your marvellous threads Iain!). That is astonishing isn't it? It might seem odd for someone that is professionally deeply ingrained in the photo-journalistic/news tradition of photography as am I, but I love high-fashion pictures. I've posted stuff by Helmut Newton before and these are of the same ilk. By Mario Testino - Peruvian born fashion and portrait photographer. I think his pictures enjoy more freedom in creation, editorially than I could ever experience. News photographers work - it might sound counter intuitive- with a huge amount of restraint - both self-imposed and culturally imposed. I'm sure I envy Testino's freedom in making images. Fashion photography creates - an unreal but - a beautiful vision. Nothing is left to chance. Maybe I like them so much because they are the opposite of my photographic world. I hope you like them - I. In the end, the "isms" are just a front for catastrophic social experiments, and mankind ends up paying the final price. As one of my friends says. "I do not trust ideologies, official books, and doctrines. I trust in whisky. It makes me feel better. Pure, please." Can we see the Zeppelin bus again? Please. Fantastic ! 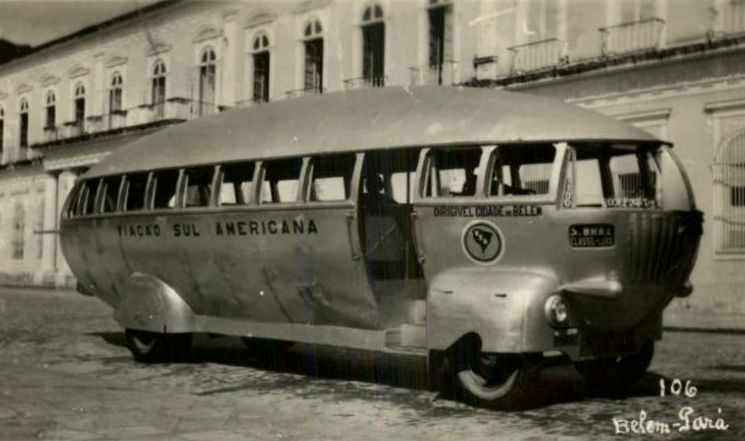 I would have loved to have taken a journey on such a bus. An extraordinary and somewhat eerie explanation behind the images. Are there any works still remaining that escaped the Nazis burning from Otto Dix? Many thanks for some fascinating info Iain. Extraordinary Iain. I see what you mean about Steadman. He also illustrated two of Will Self's 'walking" books.